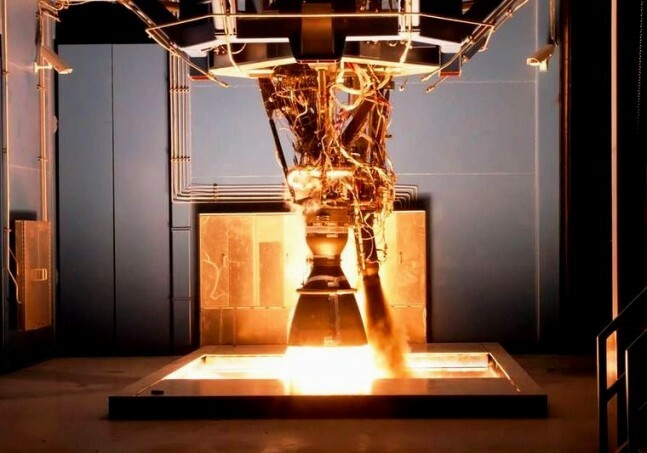 On Tuesday, Feb. 17, 2015, Space Exploration Technologies Corporation (SpaceX ) conducted the latest test of the Falcon 9’s Merlin 1D rocket engine, and it made noise — a lot of noise. It was a full nine-engine test of SpaceX’s rocket engines, and cool weather that evening meant the noise traveled far. To residents of the city of McGregor, Texas, the noise is something to be proud of. Residents of surrounding towns are not as happy. 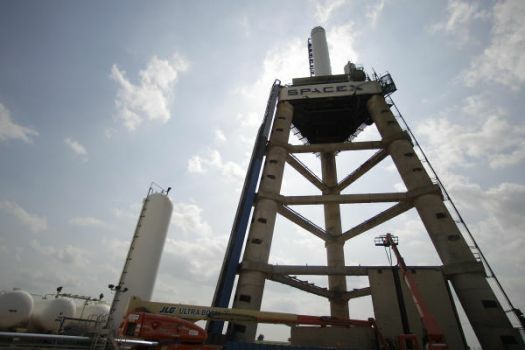 SpaceX rocket engines are tested on a tripod that sits on top of a former World War II bomb factory located in McGregor. Usually the sound doesn’t carry very far, and how far it does carry depends on how many engines are being tested at once, as well as other factors such as the weather. But some of the tests can be heard dozens of miles away, even in surrounding towns. The SpaceX test tripod. Photo Credit: Karen Warren/Houston Chronicle. The newsroom at KCEN, an NBC television station based in Central Texas, received dozens of telephone calls and Facebook messages on Feb. 17 asking what the source of the noise was. At least two people, one in the nearby town of Killeen and another in Troy, wondered if it was an earthquake. The sound was audible in Waco, Bruceville-Eddy, China Spring, and as far away as Rogers, which is 40 miles (64 kilometers) from McGregor. But to many of the people of McGregor, the noise is not disturbing. In fact they’re proud of it. 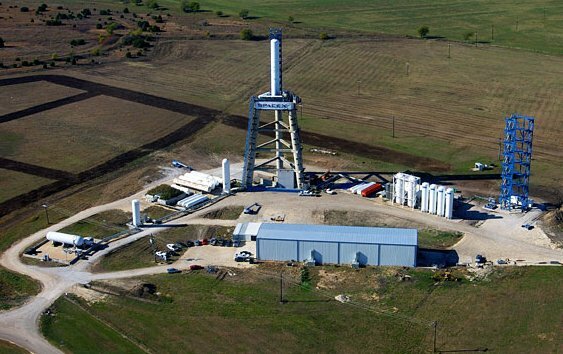 SpaceX tests all of its engines in central Texas, and they test almost every day. Usually those are single-engine tests, which make considerably less noise. The City of McGregor has established standards for SpaceX’s engine tests. If the company tests after 10:00 p.m., it is required to pay $10,000 for the first violation of the year, $15,000 for the next violation, and $25,000 for each violation after that. The restrictions also require tests be confined to 115 decibels as measured three miles from the test site. SpaceX said they were well within those restrictions. The Feb. 17 test was conducted before 9:00 p.m. and was, according to a SpaceX spokesman, well below the 115-decibel limit. The spokesman did not believe there had been more tests than usual in recent days, but couldn’t say for sure. But for the people of McGregor, it means one thing: noise. I’m curious if this particular Merlin 1-D 9-engine test used the rumoured uprated version of the engine ? SpaceX has let it be known they are uprating the engine to 180,000 lbs. thrust this year ( without changing the alphanumeric designation of the engine), and that a Falcon 9 will fly before year’s end with those uprated engines. Maybe that might explain the unusual noise levels for this test ? Pretty sure you must mean Killeen, not Killen. I like your website but ur too late with this article. 10 days is eternity on the internet. I hear them as far away as Marlin. Have heard 3 test today.